I always believe “don't work hard but work smart”. 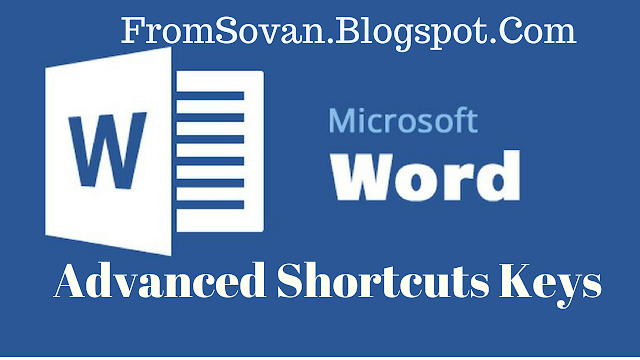 Hope these Advanced Microsoft Word Shortcuts keys will help you. If you have any question, query or problems then please write in comment section or you can contact me at fromsovan@gmail.com. I want to create hyperlink at first.... Bt how??? First of all thank you for your support. Now I am little bit confused regarding your query. If you create a hyperlink then press Ctrl + K. I will definitely publish a post regarding hyperlink in word.